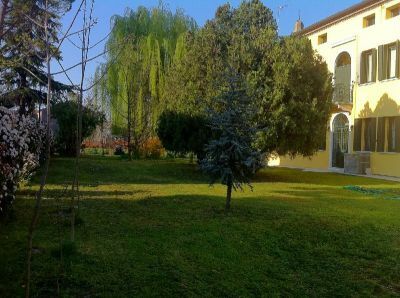 in the province of Rovigo, immersed in the Venetian countryside, 16 km from Rovigo, 75 km from Verona and 30 km from Ferrara, we offer for sale a single villa dating back to the 18th century, completely renovated with a large park planted . Mobile, spread over several levels, consisting of the central body (called the main villa) and on both sides of two barchesse. 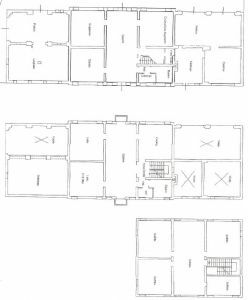 the house has been restored keeping the original typology; building that can be divided into several residential units. Gabetti has been a leader in the real estate sector for 60 years. Our experience and expertise is at your service to offer you a qualified and timely advice on your real estate transactions. If you are looking for houses for sale, Gabetti selects for you the best offers in the area proposing you apartments, individual houses, villas or houses of new construction of various dimensions and characteristics. All our agencies deal with the sale and rental of any type of property: apartments (one-room, two-room apartments, or mini-apartments, three-room apartments, four-room apartments), villas (single, two-family and / or terraced) , cottages and offices, building plots, agricultural land, activities in general. To sell, buy or rent a house, rely on Gabetti's experience and professionalism. Because Gabetti always gives you the ideal solution.